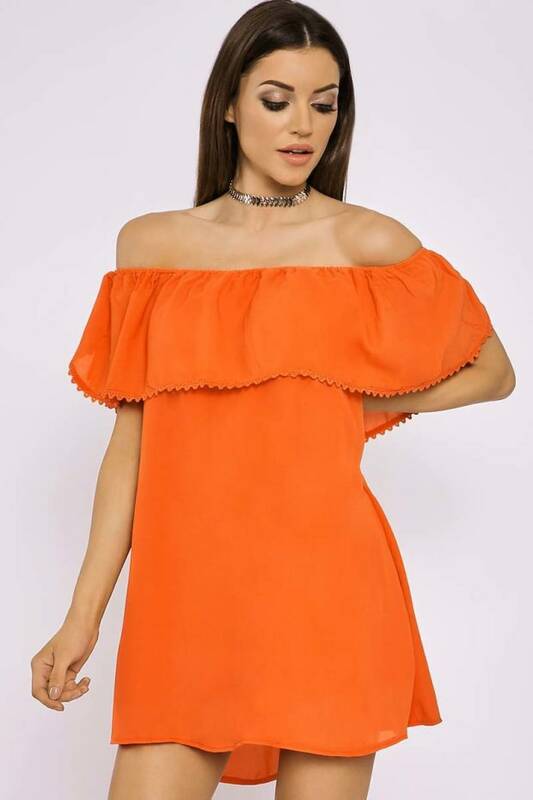 We're totally lovin' this beaut bardot mini dress!! 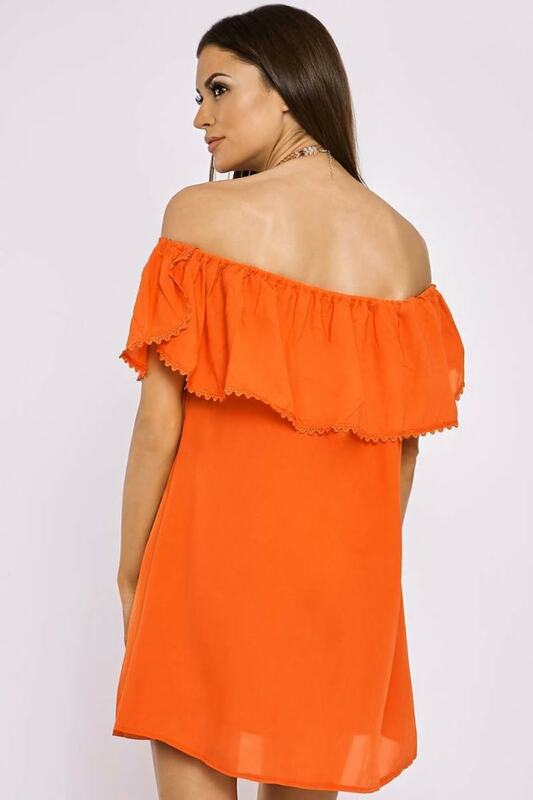 Featuring frill detailing and bardot neckline, this chic orange dress is guaranteed to get you through the summer months! 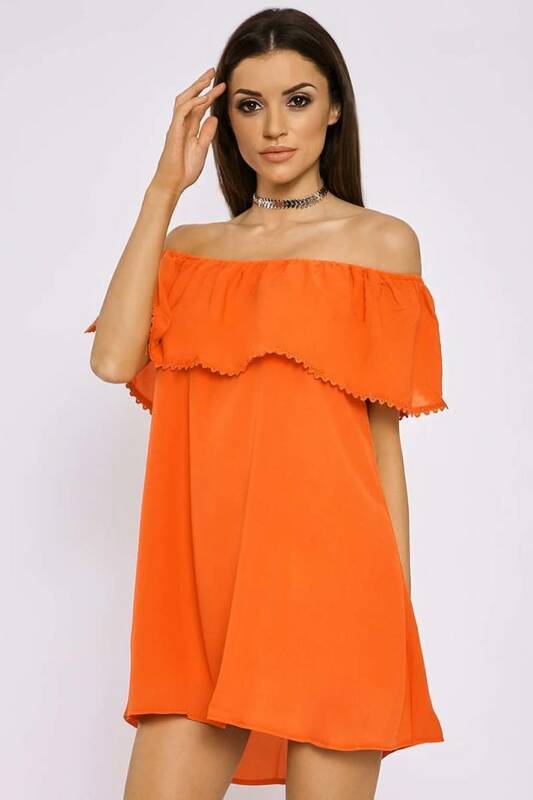 Style with sass sandals and statement choker to elevate your vacay look!